Clothing subscription boxes are a growing trend for busy people that want to wear the latest fashions and save time by skipping a trip to the mall. They also make great gifts for people that may be hard to shop for. The convenience of receiving these monthly subscription boxes is tempting, but are they really worth it? I reached out to real women that receive ZERO financial benefit to provide honest reviews. Three of my oh-so-stylish friends share their clothing subscription box experiences and review for Stitch Fix, Wantable, and Dia. Theresa is a stylish thirty something entrepreneur with teenagers always looking to save money and time. 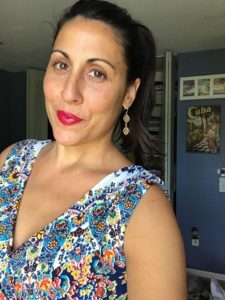 An earlier adopter of fashion, as well as Stitch Fix subscriber since 2013, she splits her time between cocktail dresses for Bridesmaid events and jeans and tee shirt as a bargain obsessed Disney Vacation Planner. I received a box every 3 months for a year and each box at that time had 5 items. I remember you could choose things you wanted and things you did not want. I told them not to send me any jewelry as I never wear it. I mostly asked them to send me tops, bottoms, skirts, and dresses. Occasionally they sent me an accessory item like a purse or scarf. I returned the majority of my items for one of two reasons. Either the fit wasn’t right, or the expense of the item was high. I will admit 75% of the time it was because of the price. I remember one time they sent me a purse that I really liked but it was $65. For the size of the bag, it just didn’t justify the price to me. There is one reason I’m glad I did Stitch Fix and it is because I found a brand of jeans I absolutely love. I remember getting them in the box vividly. They sent me my correct size, but the jeans looked tiny. I thought, there is no way these will fit. I put them on and they fit like a glove. The price tag was $110 and I almost fell over. I did a little research on the brand, Henry and Belle (pictured), and found out that they usually retail for $145. So I did what any woman would do, I showed them to a few of my girlfriends and they raved about how great they looked on me. I decided I would get them. I’ve bought 5 more pairs of those jeans in the last 3 years. Of course, I always wait until they do a sale and I can get them at $75 to $90 a pair. There was a blouse that I fell in love with that was dark blue with white flowers. It was very thin and upon seeing the $45 price tag I thought, there is no way I’m getting this. I tried it on and fell in love. Plus you get a $20 credit that you can use towards each box. It’s the fee you paid up front to have the box sent. If you don’t use the credit you lose it, so that’s kind of how they get you. 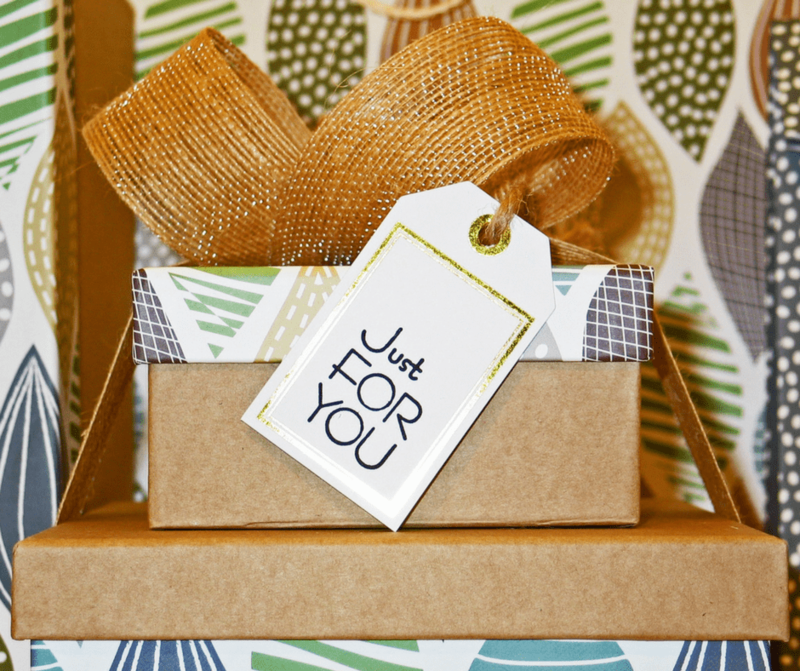 Advice for first timers – Make sure you understand that if you buy all 5 pieces in the box you will get a discount. However, on average all 5 pieces would cost me between $180 to $300 depending on what they sent. Personally I wouldn’t use their service again. I ended up buying all 5 pieces the time I bought the Henry and Belle jeans because the total cost of the box was $180. I was already spending $110 to get the jeans so I figured $70 more for 4 other things was a good deal. I did end up wearing a shirt (and still do) from that same box. The other items were a dress, a scarf, and blouse. I ended up giving the dress and blouse away. I still have the scarf and wore it once. Monthly subscription boxes are really convenient if you don’t have any time at all to shop. I personally like to find pieces that I know I’m going to wear all the time, and I had too much regret with 90% of the things I bought. After one year of Stitch Fix box deliveries, Theresa cancelled her subscription and went on to try other programs. Currently, the only subscription box in her life is Ipsy for her teenage daughter. It is a bargain at $10 a month for 5 beauty and makeup products, since she uses (and loves) everything they send her and it satisfies her teenage makeup cravings. 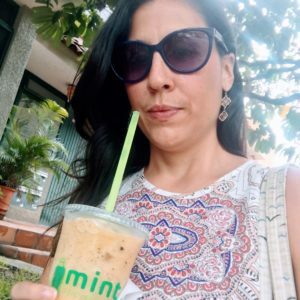 Jen is an international travel & lifestyle blogger who just relocated from Dominica Republic to Mexico with her family. Her laid back style is punctuated with red lipstick and bold accessories. Jen subscribed to Stitch Fix in 2017. I had just tossed more than half my wardrobe for our impending move from the Dominican Republic to Mexico and was looking to upgrade my wardrobe from a bunch of cheapy clothes to a few nicer quality pieces. I loved filling out the profile and rating the different styles and sent out for my first box in July. When the first box came, I was super impressed and not just because of the clothes. The stylist had written me a personal note that mentioned details I had talked about in my profile. She knew we were moving to Guadalajara and had even checked out my Instagram feed to get a sense of who I was. I kept 3 of the 5 things that they sent in the first box. I liked the shorts but I knew I wouldn’t wear them often, so I returned that along with a shirt I totally liked but that didn’t quite fit well. I was hooked so I ordered another one. The next Fix hit spot on; I kept everything right down to the jewelry. (And a nice bonus to keeping everything is getting 25% off!) There are even a couple items that I wouldn’t have necessarily picked out for myself (like a flower print tunic) but that I’ve worn a bunch since keeping it. My advice for anyone thinking about trying Stitch Fix is to be specific and detailed. If you don’t like paisley, if you love stripes (like me), if you live somewhere cold and need heavier clothing, mention it. I would also suggest to include your social media links if you have them. 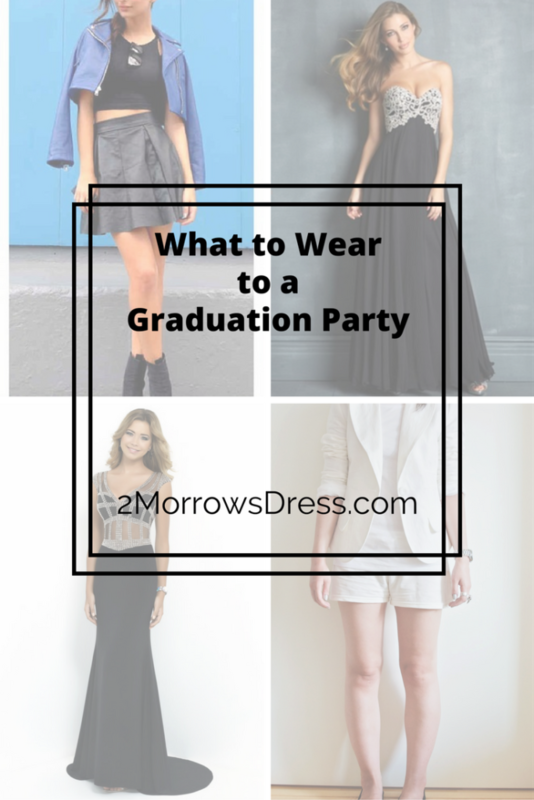 Being able to see what you wear on the regular is probably really helpful for the stylists. I’d say the only downside to Stitch Fix is that they don’t ship to Mexico because the addiction is real. Rose is an accomplished business executive with great style and plenty of activities that require her to look polished and sharp. 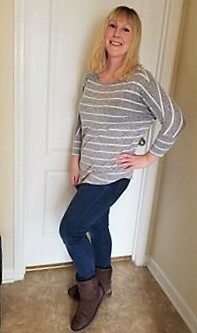 This busy fashionista currently subscribes to Stitch Fix, Dia (clothing subscription for sizes 14 and up), and Wantable for her teenage daughter, Lucy. I have a love/hate relationship with the boxes right now. For nearly a year we have loved our boxes but I have noticed the quality of the clothes in the Dia box has declined significantly plus they don’t listen. I write things like “no Olive clothes & no distressed jeans” the very next box I get an ugly olive dress & distressed item. In the last two weeks Lucy received her Wantable box, I received a Dia Box & a Stitch Fix box. Out of the three boxes, we each kept exactly one thing from each box. In fairness, one Stitch item was too big and another I would have kept as it was a lovely silk blouse but out of season. Quality wise, both Wantable and Stitch are very good. Dia is not as good quality but priced comparably. #1 stitch fix, they seem like they actually try and they send photos of suggested outfit pairings for each item. I get a lot of compliments from them. Also with Dia, the clothes just don’t hold up after several washes. The items pill or fray. One pro-tip for box shoppers – Decline shoes and accessories. Those are always overpriced and you can find cute, reasonably priced shoes & accessories on every corner. Besides, it doesn’t matter how cute your shoes & scarf are if you are dressed like a circus tent. Bottom line, clothing subscription boxes can be a great way to explore new styles outside your comfort zone and discover a new favorite brand. The box may be filled with amazing treasures, or it might fall flat. Everyone that I spoke to is glad that they tried the subscription box, even if they returned items and no longer subscribe. 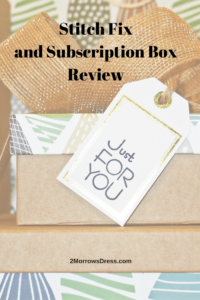 There are many different subscription boxes for clothing, makeup, food, and entertainment, there is bound to be one that catches your attention. Who knows, maybe I will have a monthly subscription box in my future. Disclaimer: Neither I, nor any of these women are affiliated in any way with Stitch Fix, Dia, Wantable, Ipsy or any other monthly clothing subscription box. All opinions are their own, and none of these women received free or discounted pricing. Really interesting! I’ve always wanted to try out one of these! I also had Stitch Fix for about a year, and I agree with Theresa. The quality of the items did not justify the price. Almost every top was of a sheer, flimsy material, and often didn’t fit my style. I found that the best way to get a good piece or two was to be VERY specific about what you want that month. One month I specified only knee-length work skirts, and I did manage to get one good skirt (out of the 5 they sent) that fit my style. Quality and great fit is so important. Thank you for sharing your experience.